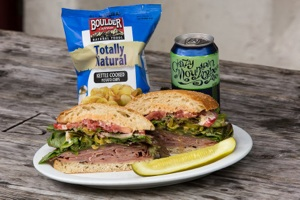 WIth a convenient location at the top of Bridge Street on your way to Vail Mountain, Big Bear Bistro is your best option for a quick, delicious breakfast or a gourmet sandwich to take in your bag for skiing, biking or hiking adventures. It carries natural hormone free meats, fresh veggies and organic bread baked fresh daily! Other great options are available like organic gluten-free bread, natural whole-wheat, or a variety of tortilla wraps. Come into Big Bear Bistro on your way to or from Gondola One - and enjoy breakfast ALL DAY LONG!